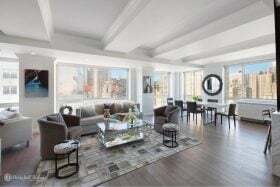 “The Real Housewives of New York City” star Ramona Singer has put her renovated and refined five-bedroom apartment in The Richmond condo at 201 East 80th Street on the market for $4.99 million. According to the New York Post, the quintessential Upper East Side girl is pondering a move to parts south (but not too far south) for a change of pace. The corner apartment has panoramic city views and plenty of little luxuries.